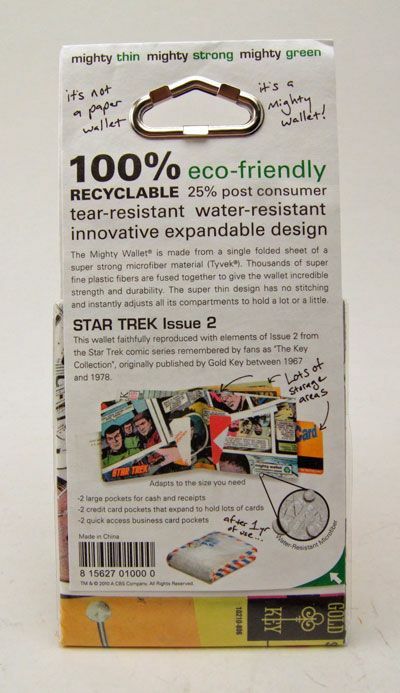 Dynomighty introduced these Star Trek branded "Mighty Wallets" in 2010. 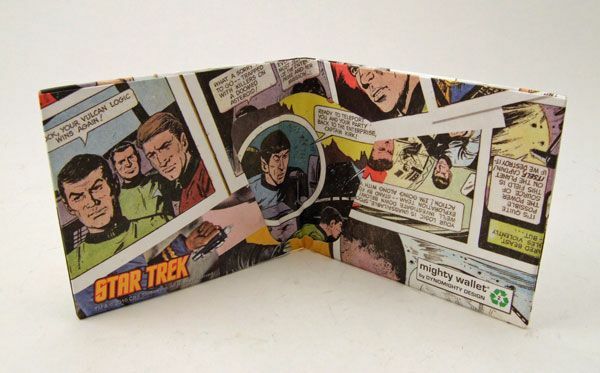 Dynomighty offers the Mighty Wallet in a plethora of different designs (including "do-it-yourself" varieties), but it's obviously the Trek design that lured me in. 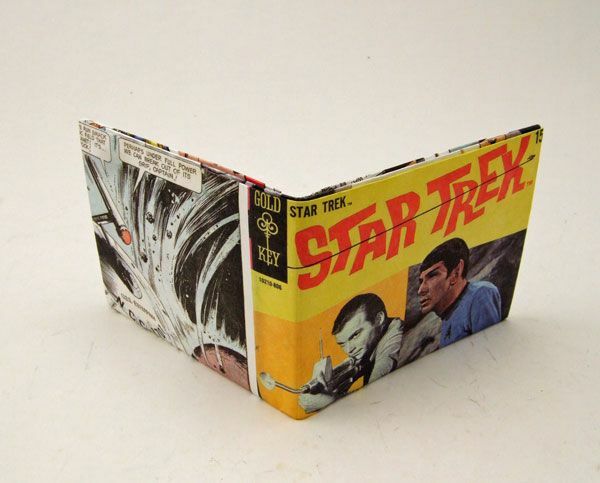 They offer 3 versions of the Trek wallet: Gold Key Issue 1, Gold Key Issue 2, and a design based on a blueprint of the Enterprise. Being a sucker for Gold Key art, I chose the Gold Key Issue 2 design. 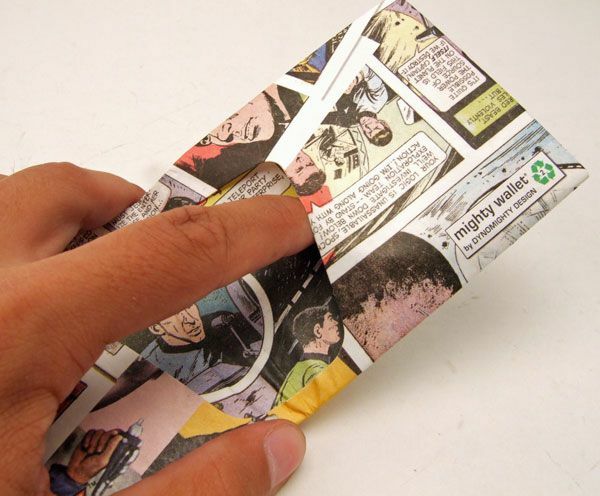 The wallet really does look like a folded up Gold Key comic, which I find INCREDIBLY cool. 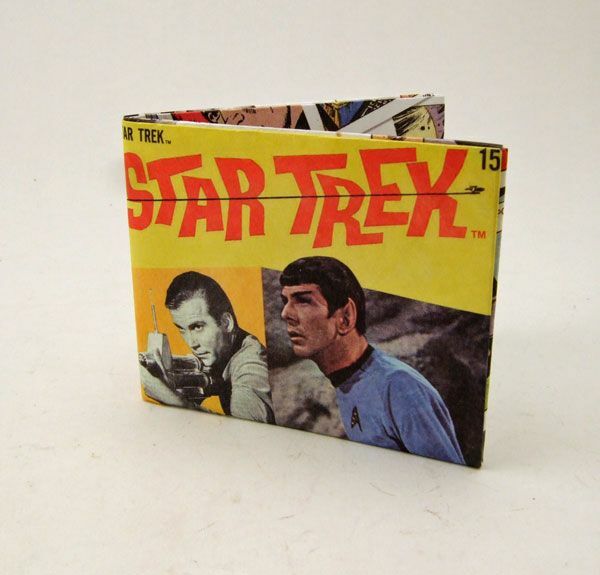 I'm always looking for ways to display my Trek nerdiness in "cool" ways, and this wallet definitely fits the bill. 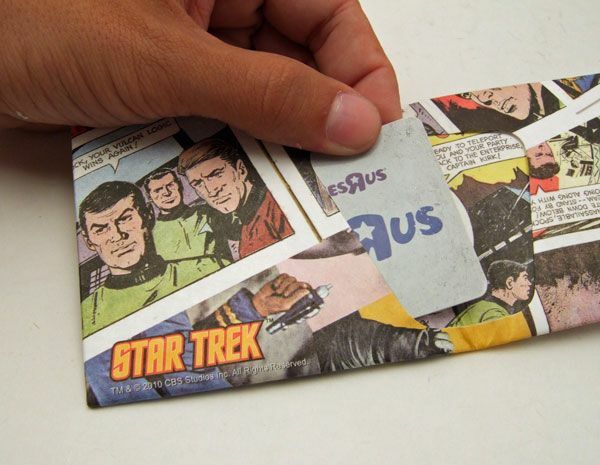 When I pull this puppy out of my back pocket, there is no mistaking that I am a full-fledged Trekkie. Word. 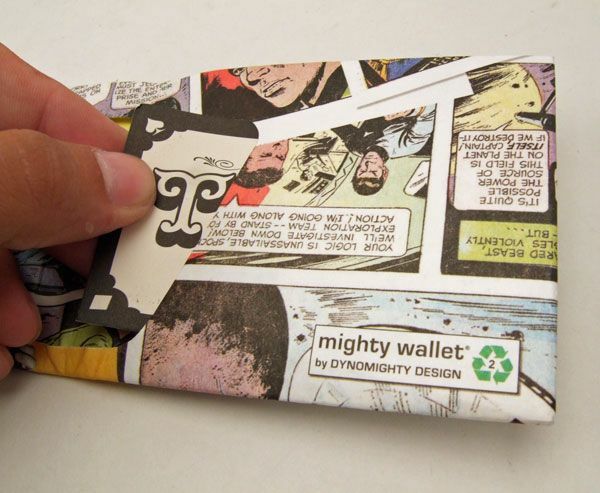 ...features the Might Wallet logo. I stuffed these things pretty full with my various cards (including some expired ones) and the lucky silver dollar coin my grandpa gave me when I was like 9. The wallet did exactly as promised, expanding to fit whatever I put in there. There's also 2 quick access slots along the sides of the wallet for business cards, but I honestly didn't realize that until after I took the pics. Oops! 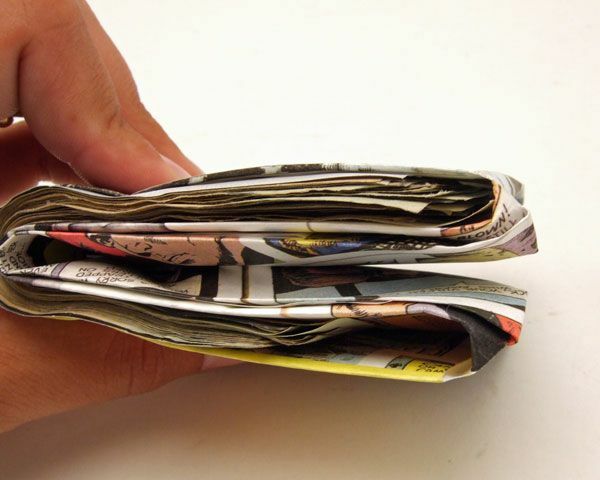 The fully expanded wallet has 2 separate pockets for storing cash and receipts. I am crazy about stuffing receipts in my wallet. I usually have more receipts in there than cash. The picture you see above is actually right after a receipt deposit and a cash withdrawal. Having a divider so that I can keep those 2 separated is pretty sweet (a design lacking from my old trusty black leather wallet). ...and it's exactly where I want it! I have noticed a little scuffing here and there, which I'm sure will get worse as time goes by, but you know what? I like that. 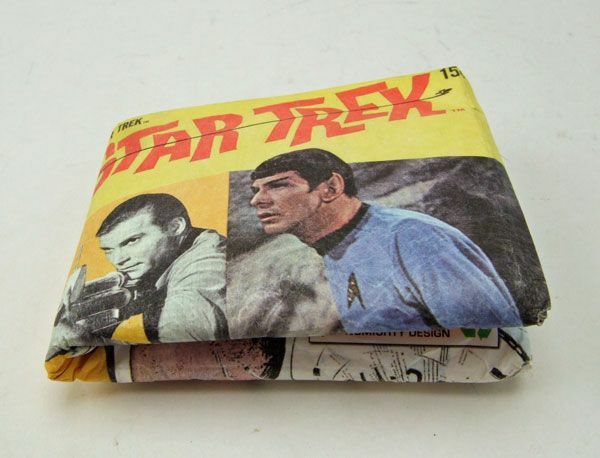 I think this wallet will look cooler with age, just like a well-read Gold Key comic! 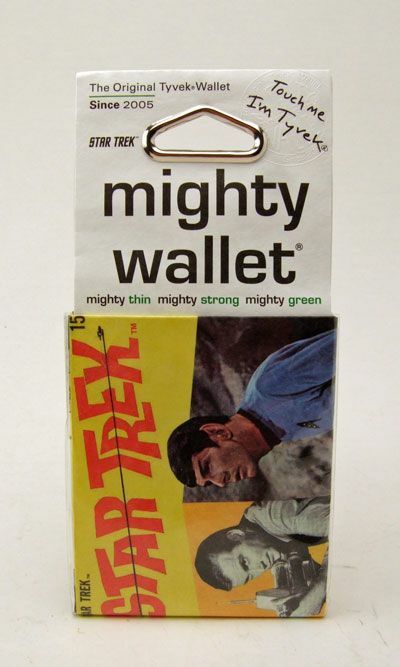 The Star Trek Mighty Wallets are available now through Dynomighty.com. The wallets only run $15 each and there is a free shipping option! Again, the one I reviewed here is Issue 2, but they also have a Gold Key Issue 1 (my second fav) and a blueprint design available. So go buy one. We always knew you were loaded, but DANG! 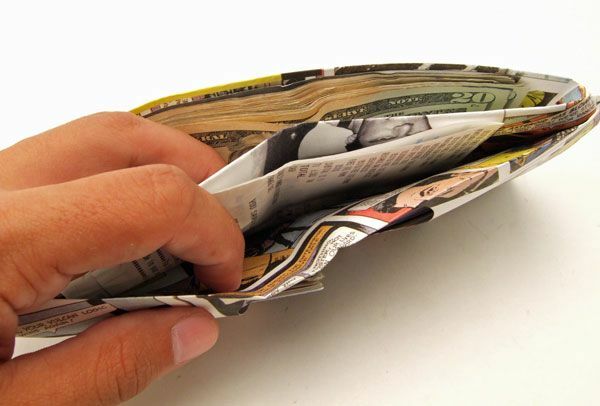 You don't have to flaunt it by stuffing your wallet with money! BTW, can I "borrow" a couple hundred which I'm sure you'd never miss?